Have you ever seen some of those pet shows on the Animal Planet tv station such as Animal Cops Houston, New York, Philly and other cities across the U.S.? Until I started watching these shows I had absolutely no idea just how severe the neglect and cruelty towards animals is in our society. Are there words worse than horrific? I’d say these shows would be good for kids to watch because it shows people saving animals. On the other hand, some episodes are liable to give small children nightmares. Heck, they about give me nightmares! One of the most horrifying things people do to their dogs seems to be to put a chain around the dog’s neck when it’s a puppy and then tie it outside where maybe once in awhile they’ll feed it or visit it or give it some water. Now as if that’s not bad enough, this puppy is growing up into an adult dog with the same size chain still wrapped around it’s neck. Chains don’t give, so instead they grow into and embed in the dog’s neck. Some even use chains that remind me of logging chains, the links are huge, much bigger than they need to be and they can be very heavy. Think of the pain even a paper cut gives to a human. Now imagine a chain embedded around your neck leaving the wound open where it can become not only infected but infested with bugs and dirt. The chain becomes rusty, caked and gooey with the dog’s blood. I cannot even imagine how painful this must be for these dogs! That just covers some of the more severe physical problems chaining a dog can have. Dogs are social animals, they need their people to be happy and mentally healthy. There are plenty of reasons to not chain a dog! Thank you, If you would like to do an article about Dogs Deserve Better I can furnish you with everything that you need. We have reps all over the world and can always use more to educate and raise awareness to this common form of cruelty. Actually, I just remembered that I have a DDB brochure which I think I picked up at our local Humane Society. If you have more information you’d like to send me, please do so using the email address I wrote you from the other day. If it’s something you need to send by snail mail, let me know by email and I’ll give you our address. I would be happy to write a post on your organization. They began this grassroots movement and many have taken our lead. DDB is the leader in educatiing people about the cruelty of forcing a companion animal to live chained or penned. People really need to be educated on how they make their pets live so we appreciate you stopping by and leaving this info and the link to the web site. We wish you and your organization all the best! Sometimes a dog needs to be tied outside, like if you’re visiting someone and the dog needs out and the only way to keep it safe like from running in the road is like tying it to a tree or something. That’s one thing. But to chain a dog up permanently, every day after day after day is just plain wrong! How’d you like to be tied to your yard like that? Man, do you ever watch those animal rescue shows on Animal Planet? I see those dogs with embedded collars and I can’t even begin to imagine the pain that must cause. Imagine YOUR neck being dug into like that! Not only does the dog have to endure this kind of pain, but at the same time because of how animals deal with pain to help hide themselves from predators – they have to pretend it doesn’t hurt! 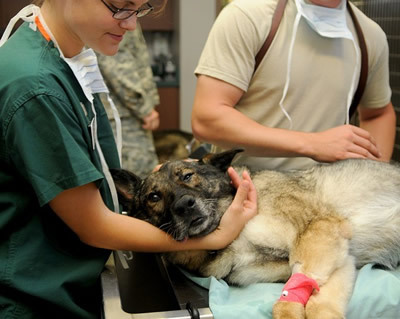 Dogs are amazing but if you have even one ounce of compassion in your bones, you gotta feel that pain they go through. This kinda crap has to be stopped!